4.) Search for the XML File titled "Sharepoint-theme.xml" in the theme folder found on your computer and click the Button "Import Theme" this will upload the file from your computer to your forum. 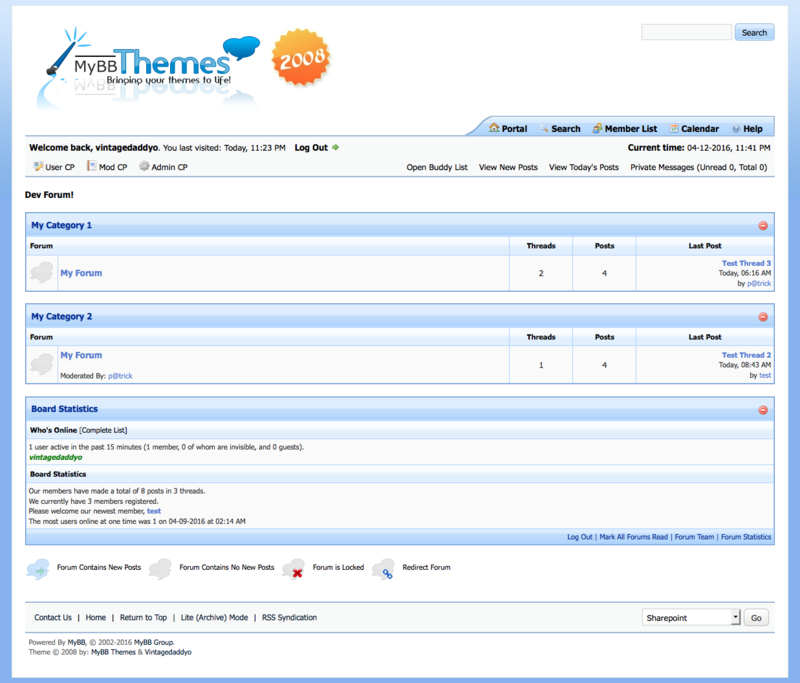 You may not remove or change the MyBB copyright nor the Designed by: "Vintagedaddyo" or "MyBB Themes" statements in the footer of this theme's templates. 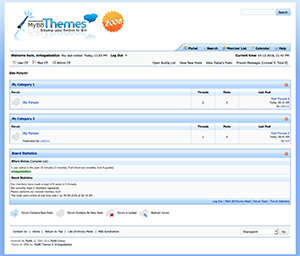 You may use and modify this theme to your personal likings, but redistributing a modified version for download is prohibited, unless you have explicit written permission from "Vintagedaddyo" or "MyBB Themes", though you are allowed to redistribute a copy that has not been modified.